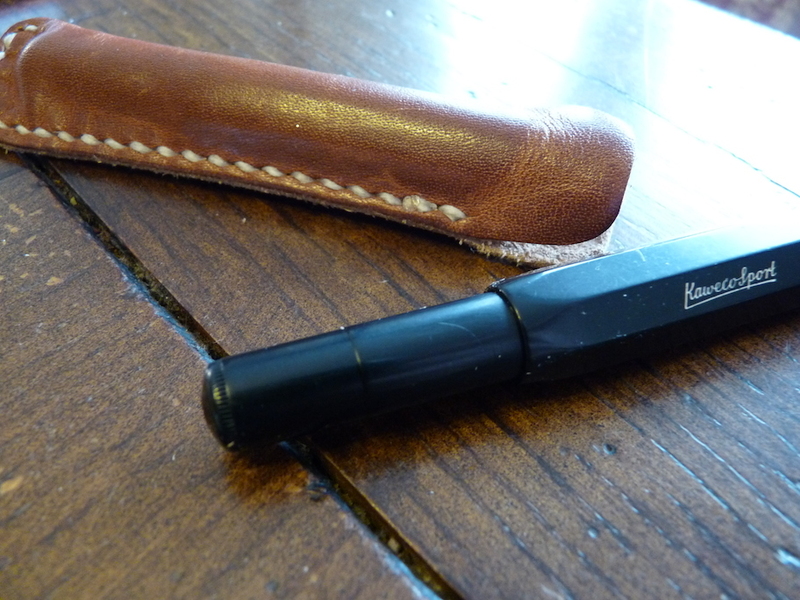 One Star Leather Goods Kaweco Sport Sleeve – Pens! Paper! Pencils! 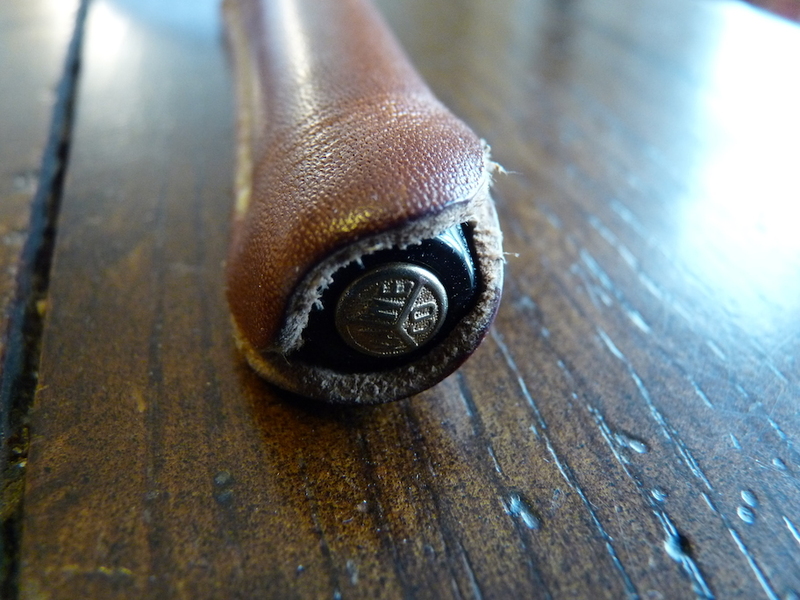 This pen sleeve is made especially for the Kaweco Sport but One Star Leather make sleeves for other sizes of pen too. It truly is made to last. 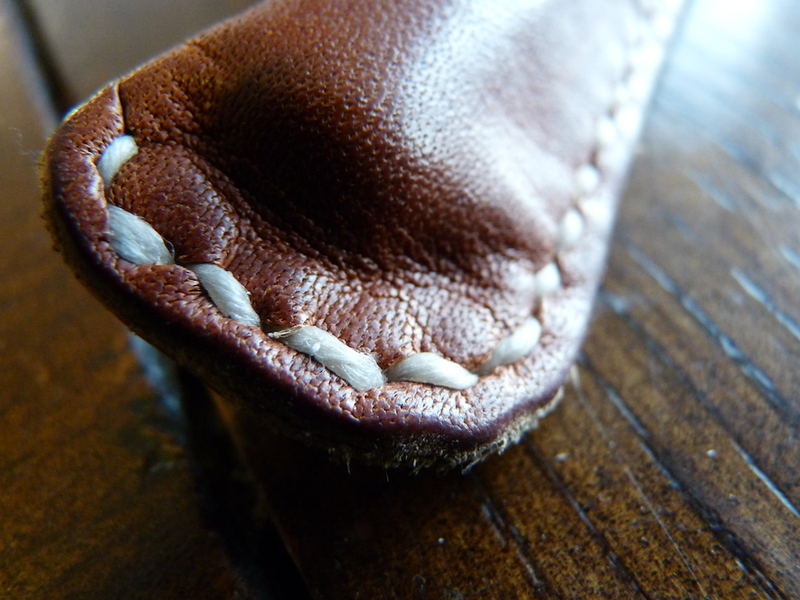 The leather is very high quality and the stitching is fantastic. I bought this sleeve because it looked to be a beautiful object in its own right and I wasn’t disappointed. Secretly, I thought to myself: My Kaweco Classic Sport gets bashed about a bit in my pocket and so I could never get an AL Sport, even though I really do want one, because they are too expensive to allow to get bashed about. So if I get this lovely leather sleeve, it will protect my pen and so I can then buy an AL Sport to put in it because it will be all safe. But then a funny thing happened. I realised I feel quite sentimental about my Kaweco Classic Sport. It’s all bashed up and scratched but that’s part of its charm. It’s the pen I’ve had the longest that’s still in constant use. How could I replace it? It wouldn’t be fair. So I haven’t and now it has a special little home inside this lovely sleeve. Absolutely! I love that about these kinds of objects. 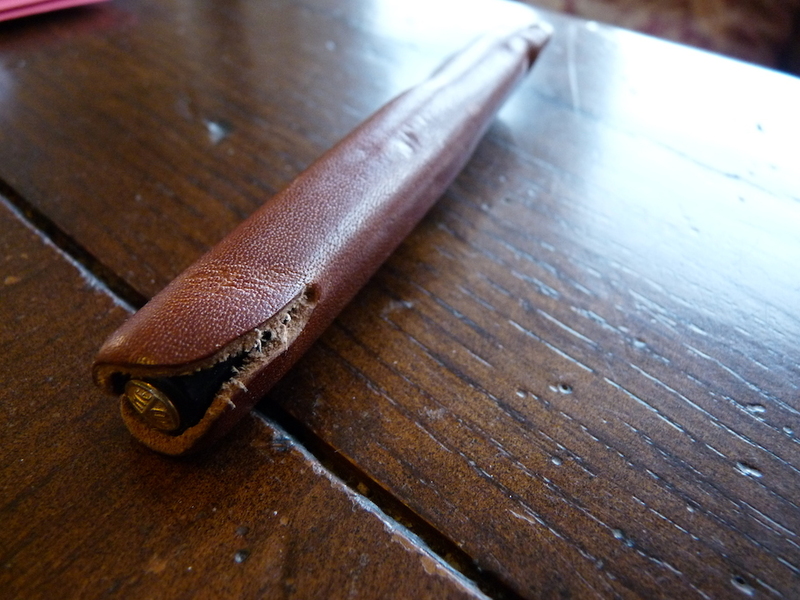 I have been using my cognac Kaweco Sport Sleeve for the past several weeks – love it. Not only does it protect my blue AL Sport, reduces potential leaks in my front pockets, it is a beautiful handmade leather case that takes on a unique look and feel the more it is used. Yes it’s lovely isn’t it. Useful and beautiful. Rather like a good pen!